But who has time to cook bacon every time you need it as a topping or for a recipe? 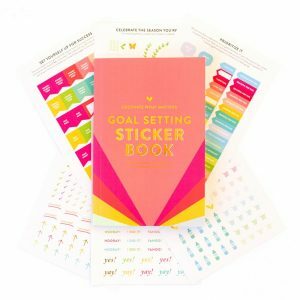 It's actually easier than you might think. 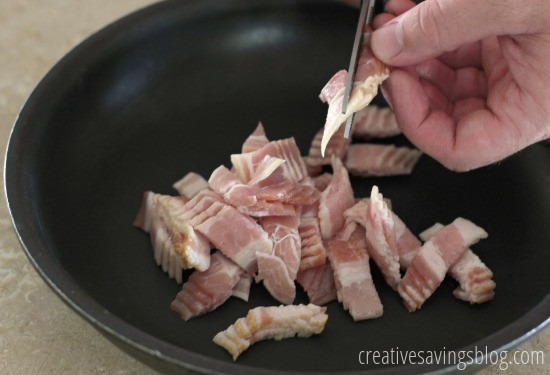 Step 1: Cut bacon strips 4 at a time with kitchen scissors and place into a frying pan. Step 2: Set frying pan on Medium High heat and stir occasionally until bacon is done. The timing will be different depending on how much bacon you put into the pan, so keep a close eye on it! 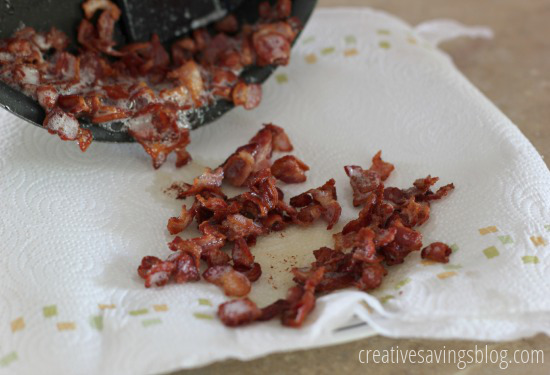 Step 3: Drain bacon grease into a bowl and place bacon bits onto a plate with 2 sheets of paper towels on it to soak up remaining grease. Step 4: Pat dry, and remove paper towels so bacon sits directly on plate. Spread out bacon bits and flash-freeze for 10 minutes. 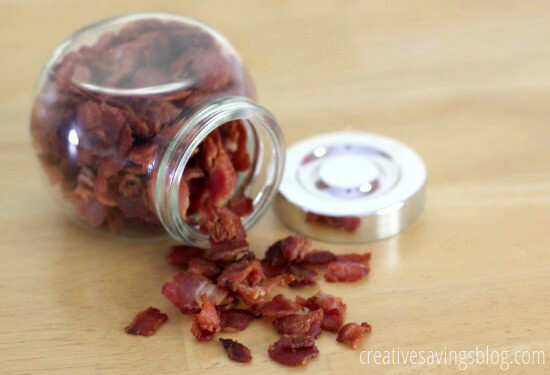 Step 5: Pull bacon bits out of freezer and place into a labeled jar. Store in freezer and pull out whenever you need some! Store-bought bacon bits are slightly cheaper than cooking your own from pre-cut strips, but that's considering you never buy bacon on sale. Our local Publix often has a Buy One Get One deal every few months, which makes the price pretty attractive. We like to stock up and make bacon bits a few packages at a time, just so we always have some on hand in the freezer. I guess you could say it's our very own convenience food, except this one tastes SO much better! 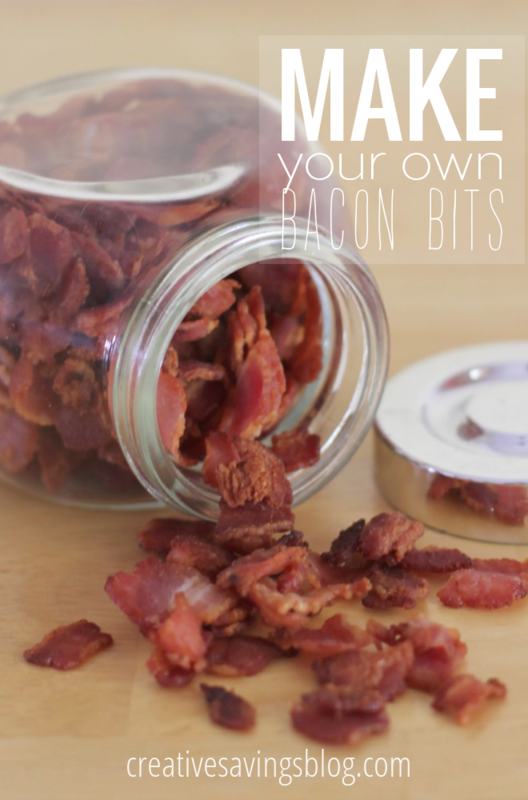 Do you buy bacon bits or make your own? I love this idea. I would love to try this with my favorite nitrate nitrite free uncured bacon cause I can’t find that at the store. I love to add these to baked potatoes and scrambled eggs. I never would have thought to add them to scrambled eggs, but that sounds super yummy! This is a great idea, especially freezing them! 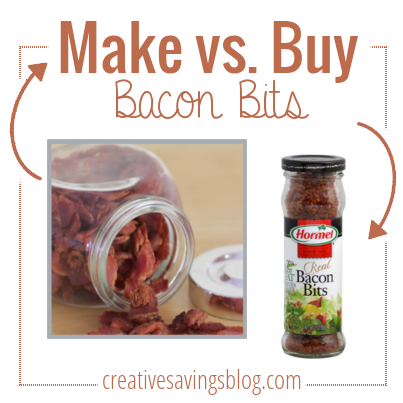 I don’t hate the taste of the bacon bits from the store but they always go bad too quickly! This is a great idea. TY. I don’t hate the taste of the ones I buy, I get the Oscar Meyer ones but I don’t like all the preservatives that are added. We use them mostly in salads and eggs. Yes, it’s great to get away from all those preservatives! I never thought to do this! What a great idea! Thanks for sharing. I save the bacon grease anytime I make it. I use it to make homemade refried beans. It gives them a great smoky flavor and when you add in cheese the taste is unbelievable! I have done these for many years and they don’t even need to be flash frozen. Just put them in a container and freeze. Mine never stick together. Great idea, I usually do make bacon but when I make it I bake it in the oven on a layer of parchment paper at 400° for about 18 minutes, depending on the thickness. This is a great idea to freeze cooked bacon, i’ll have to try that sometime. I would be tempted to lightly crisp the frozen bacon in my toaster oven on a tray before topping. I do know that pre-cooked and re-crisped bacon works great for having company or a making a do-ahead breakfast. I love your idea to cook them in the oven! I never liked cleaning up all that extra grease on the stovetop. We do this with bacon, ham, onions, peppers (any color) and tomatoes. It makes scrambled much more fun even on busy mornings. I just use canning jars on the door of my freezer to “store” these items so a quick grab is all I need to put breakfast on the table in a hurry. Yes, those would be such quick and colorful add-ins for scrambled eggs in the morning – Yum! Depending on how often you use them, you could also just keep them in the fridge. I use them on eggs as well. Delish!!! 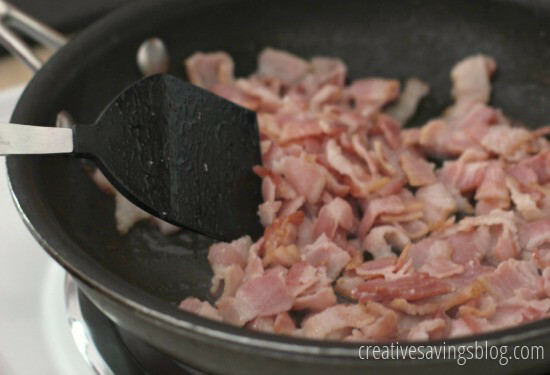 I use the same method to cook and freeze the baccon.But I very seldom use it for breakfast. My fave is spaghetti carb nara for one..I cook some onion ( about a half per person and one clove of garlic in saved baccon fat, add pre cook baccon when veg is almost translucent)..put them on plate when cooked.Then I pour boiling water into the same fry pan and cook the pasta , drain when Al denta.While pasta is cooking I whip one whole egg till frothy in small bowl.Add the onions baccon garlic and egg to the drained pasta add parmigiano cheese and salt and pepper to taste , stir well to mix and enjoy.Start to finish 10-_12 min’s to the table.Can add basil , oregano, or and parsley if you like. Mmmm…that sounds SO good! Thanks for sharing! I make my own, but it takes about 3 hours instead of 15 minutes! Years ago, a chef showed me how to use butter to fry bacon to stay very crisp within a quiche – no chewiness and no fat pieces stuck between your teeth! 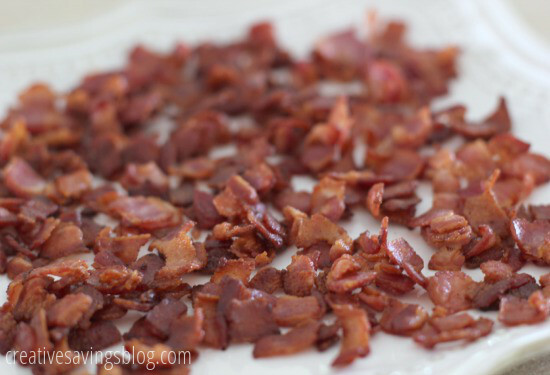 I use 3 lbs of bacon, trim off as much fat as possible, cut very small or process with food processor. Next, put in dutch oven with a stick of butter, and cook on low heat until all the water is evaporated and all the fat liquified. One must drop by the pot & stir it every so often. When it begins to produce a bunch of foam, it’s almost done, and can burn quickly, so watch carefully! I then pour it all through a strainer to drain, then spread on paper towels to remove more fat. I’d love to know the TRUE calorie & fat count of these wonderful bacon bits, because I’m sure it’s less than any found in the food nutrition tables. I use them in omelletes, quiche, salads, with avocados, make BLTs, etc. They usually last about 3 months before I have to do it again. I do save some of the fat for cooking purposes, but use it less and less – I just don’t fry any more. Forgot to mention, use thick-cut bacon for this purpose! I’ll have to try that out. Normal cut has always worked well for us!